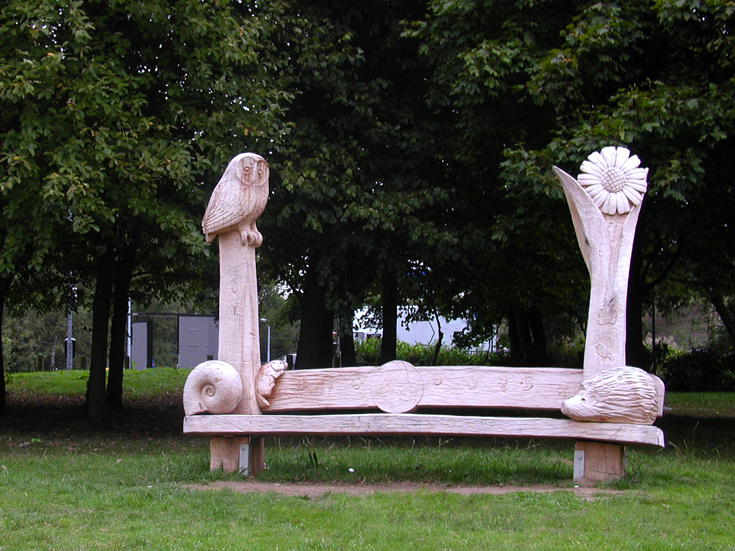 Meadow Seat - constructed and carved oak seat for the park setting, hence the seat’s nature theme. Children carved animals and birds in low relief on the seat, during a two day workshop directed by Phil. Move mouse to see the photo of the Story Circle - carved and constructed oak. A sequence of seating with a story tellers chair at the centre and fairytale themed carvings at the side, a carved sun archway joins the seating. Extra relief carvings made by local children and adults.